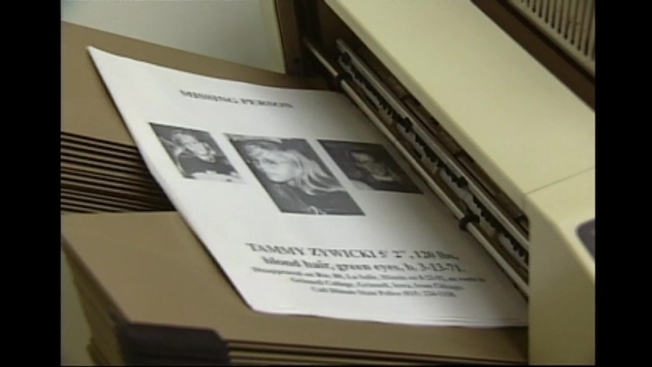 State Police investigators say they are pursuing promising leads in one of the state’s most troubling cold cases: the 1992 kidnapping and murder of 21-year-old Tammy Zywicki. Zywicki was a senior at Grinnell College in Iowa and enroute back to school when her car was found abandoned on the shoulder of I-80 near LaSalle-Peru. Nine days later, her body was found, wrapped in a blanket, hundreds of miles away on an entrance ramp of I-44 near Sarcoxie, Missouri. She had been stabbed to death. As part of that effort, former State Police Director Hiram Grau petitioned the Philadelphia-based Vidocq Society to take a fresh look at the case. The organization – composed of investigators, forensic experts, even psychologists – investigates only cold cases. Last fall, a team from Illinois made a presentation to dozens of Vidocq members, and Padilla says it paid immediate dividends in a case where the existing files were nearly 6,000 pages long. Specifically, Padilla says police are now focusing on at least half a dozen specific leads, including one that he says was never properly vetted during the original investigation. Padilla will not elaborate on that lead, but it’s safe to say it is a person of interest. Padilla did say, though, who that promising lead is not. It is not Lonnie Bierbrodt. Bierbrodt is a former trucker and ex-con whose name has repeatedly come up in the Zywicki investigation, largely because a former investigator, Martin McCarthy, publicly named him as the most likely suspect. Bierbrodt said a nurse indicated she saw someone standing with Tammy near her car on I-80. She said that same man came into the emergency room where she worked months later. His wife, she said, was wearing a unique watch, which matched the one Tammy was wearing when she disappeared. That woman’s information led investigators to Bierbrodt, and he was questioned. But Padilla said based on investigative information he has seen, he did not believe Bierbrodt was in possession of Tammy’s watch. “As a result of the input from the Vidocq Society, I’m enthusiastic about the potential for resolution of this case,” he said. He also emphasized that he and his investigators feel they have a responsibility to solve it. Anyone with information on the case is asked to call the Jorge Fonseca at the Illinois State Police, at 815-726-6377 x286.